Staying a cut above the rest in the construction industry takes the best people working with the latest equipment. Flippin’s has the cutting edge technology, intellect, and the know-how to break through the biggest jobs. 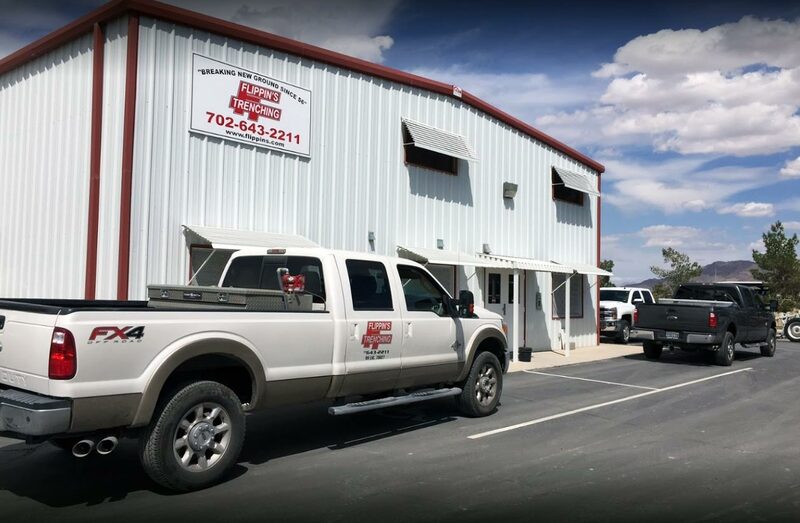 Flippin’s has steadily grown into one of the most trusted names in the Las Vegas Valley for construction contractors. Flippin’s is more than just a saw cutting contractor. In addition to slab (flat) sawing, we also provide core drilling, green sawing, grinding and grooving, joint sealing, wall sawing, wire sawing. We bring our services to the job site offering a wide range of concrete services. Flippin’s possess the experienced crew and equipment required to handle construction work of any size. Our skills and strengths set us apart from any other service provider. Contact us today to speak with a representative to learn how Flippin’s may assist on your project! When exact circular penetration is needed, our skilled technicians use diamond core drilling techniques. We use core drilling for walls and slabs at any angle and any depth. For locations that are closed in or sensitive in which to work, electric or hydraulic rigs can be utilized to successfully complete the job. Wall Sawing is used to cut an opening in concrete that is straight or beveled like a dimensional door, opening of a window or vent, our technicians use the diamond blade wall saw. To ensure a perfect cut, the diamond wall saw blade is mounted on the spindle of the wall saw and then run along the wall saw track. This track allows the saw to be used on areas such as vertical walls or steep inclines as well as concrete foundations. For horizontal flat surfaces, slab sawing is a more efficient and less time-consuming process than jack hammering. Slab sawing is also a more effective technique because it causes less strain on the structural areas. If you need HVAC openings (that are small in the outside dimension), floors and walls open without any over cuts; then a diamond bit chainsaw in conjunction with the wall saw is the best way for our technicians to save the integrity of the slab or wall that is to remain untouched. It is also more cost effective for some projects than other methods. Chainsawing is also beneficial for openings that a standard saw is too large to fit. To minimize over cut, our skilled technicians use special ring blades that are extremely proficient in cutting doors, windows, ventilation shafts, stairwells, piles and foundations, plus many other finishing applications. Since this blade is driven from its periphery, not the center, it can cut 10” deep with just a 14” blade making this blade able to cut as deep as its own diameter. GPR is the safest way to determine what obstacles may be in or under the surface. It uses high-frequency radio waves to penetrate the surface below the ground and inside concrete floors, wall, and ceilings. This technology is quick and accurate. It is able to locate undetected objects such as fiber optic or electrical conduits, post-tension cables and rebar before drilling, coring or cutting into the concrete. From selective demolition to cutting slabs and walls, we will effectively demo to your specifications. We strive to provide competitive prices and highly skilled professional service.